Progressive Slots have a jackpot that gradually increases as people play the game. There are standalone progressive jackpot games where the pot value increases in just one machine, and there are also some jackpots that increase across an entire network. These networks can be across multiple casinos or they can just be proprietary to a single casino. Megabucks and Wheel of Fortune. Both developed by IGT, are some of the most successful slot machines ever made, and they are considered as the classic and legendary slot machines of Las Vegas. Megabucks and Wheel of Fortune are across a network of various casinos. The last winner of Wheel of Fortune $1 slot machine won $1.35 million in April 2016 at Red Rock Casino, while the last Megabucks Slot machine winner walked out with $10.74 million at Westgate Las Vegas Resort & Casino in March 2015. Megabucks is indeed considered as the most popular large area progressive in the World, and its jackpot once even reached $39 million before someone hit it. Winners of Megabucks can either choose a cash payout or a lifetime annuity. On the other hand, you can also find proprietary jackpots at Magical Vegas – the online casino inspired from the spiritual land of gambling – Las Vegas. Magical Vegas offers the proprietary multiple progressive jackpots on Grease Slot. As of the end of April 2016, the jackpots were £126K on Grease Lightning progressive, £100K on T-Birds progressive, 50K on Rydell High progressive, and £43K on Pink Ladies Progressive. There are also other slots at this top online casino site with proprietary jackpots, such as Groovy Revolution, Lady Luck Deluxe, The Lost Slot of Riches, Cash Scoop, and more. Plus you can also find networked progressive jackpots at Magical Vegas, such as Cosmic Fortune, Bells of Fortune, Fruit Bonanza, etc. People normally select slots that sound familiar to them. As Wheel of Fortune has gone in the books of history as one of the top progressive jackpot slot machine of all, it has indeed become one of the popular choices for players. 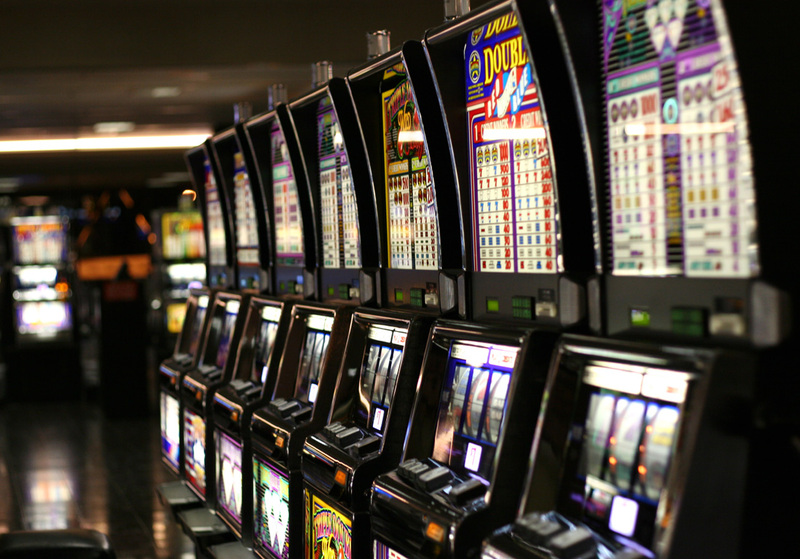 According to statistics, they are one of the most played slots in Las Vegas. With its classic style slot look, Wheel of Fortune can be played either in 3 reels or 5 reels. This game is similar to the popular T.V game of the same name, where players spin the wheel in hope of winning the jackpot, and you even get the chance for a bonus spin. Only when the wheel symbol appears on their spin, that players are allowed to play the wheel of fortune. And most importantly, you must bet the max number of coins on each spin to be able to play for the wheel of fortune. With its 3 dimensional interface, Wheel of Fortune has double diamond, blue, white and red, and five time pay. It also comes with great lighting and realistic sounds. People often says that they play progressive slots mainly for the entertainment and fun, and not for the money. However, it has been life changing for countless punters who have ever won a progressive jackpot. And progressive jackpots online can just be as rewarding as their land-based cousins in Las Vegas.